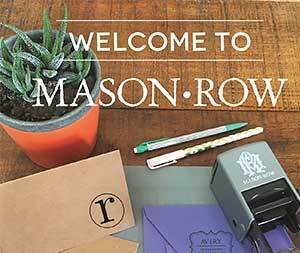 Mason Row has been featured in a national publication... Stationery Trends Magazine! This magazine is an award-winning magazine for the stationery, greeting card and gift industry. Check it out! Thank you Sarah at Stationery Trends Mag! Check them out at www.stationerytrendsmag.com.